Dr. Javdan has been serving the Los Angeles area for 15 years as a restorative and cosmetic dentist at Beverly Hills Prestige Dental Group. He achieved his D.D.S. (Doctor of Dental Surgery) degree from the University of California School of Dentistry, a leading institution in the dental field, and there gained experience as a clinical instructor. 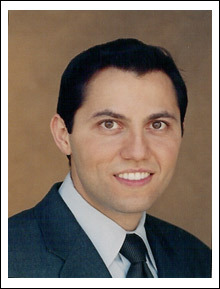 Through the years serving as a dental educator and dentist in the LA area, Dr. Javdan has earned the high respect of both professional colleagues and patients for his knowledge and expertise in the field. Dr. Javdan has grown Beverly Hills Prestige Dental Group by earning the trust of patients—including celebrities and other dentists–who appreciate his excellent skill and high standard of dental care. Patients of Beverly Hills Family Dentistry know he possesses the experience and professionalism necessary to deliver outstanding results for a flawless smile. As part of his commitment to providing exceptional dentistry, Dr. Javdan uses cutting-edge dental technology and the most up-to-date treatments on the market today. Dr. David Javdan has set in place the safest and most effective techniques and materials, in a state-of-the-art facility, for your specific dental needs. Because of his ability to transform smiles with cosmetic makeovers, patients visit Beverly Hills Prestige Dental Group from all over the Los Angeles area, including Hollywood, Bel Air, Santa Monica, and Century City. By consistently applying himself to continuing education courses and through advanced training, Dr. Javdan maintains a superior level of treatment for his patients at Beverly Hills Prestige Dental Group. In addition to his focus on helping each patient reach optimal dental health, Dr. Javdan offers patient-focused care and puts great effort into making the treatment process as pain-free and gentle as possible. He wants your dental experience at Beverly Hills Prestige Dental Group to be a positive one.